If you wish to record security cameras on the DVR you must add a hard drive. If you do not add a hard drive to the DVR you will be able to view your cameras on your DVR (locally and remotely), but you will not be able to record your cameras. When you purchase a hard drive from DSC, the price includes installation and 1 year warranty. 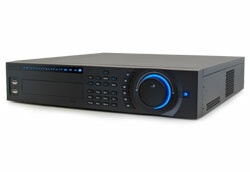 At the maximum frame rate (30 fps) this DVR will use approximately 5 to 7 gigabytes of hard drive space per camera, per day. Therefore, on a 500 gig hard drive with all 16 cameras hooked up you can store about 4 to 6 days of recorded video. A terabyte of storage would hold approximately 9 to 12 days of recorded video. The use of record time scheduling and motion detection can extend the recording capacity up to twice this amount. You may also tune down the record frame rate to increase your recording capacity (however this may affect video picture quality). Once the hard drive is full the unit will start recording over the oldest video. You may upgrade the HDD storage on this machine up to 24576 gigabytes (24 terabytes). 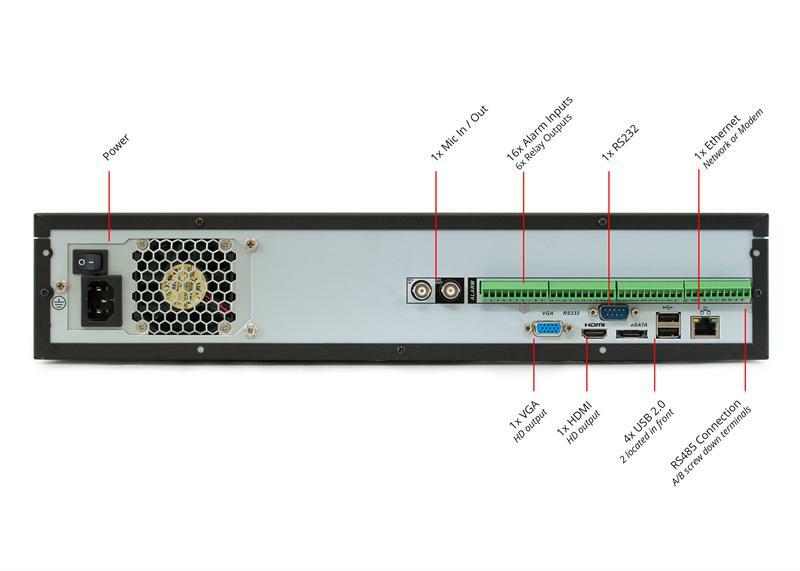 Please keep in mind that actual storage capacity varies greatly based on many factors including the resolution and imaging chip size of each camera, the amount of motion in the field of view, and of course the selected DVR features and settings such as the frame rate, scheduling, and motion detection. Recording audio will also use up storage space (approx 691mb per audio input per day). Be careful when comparing our storage capacity to other DVRs. 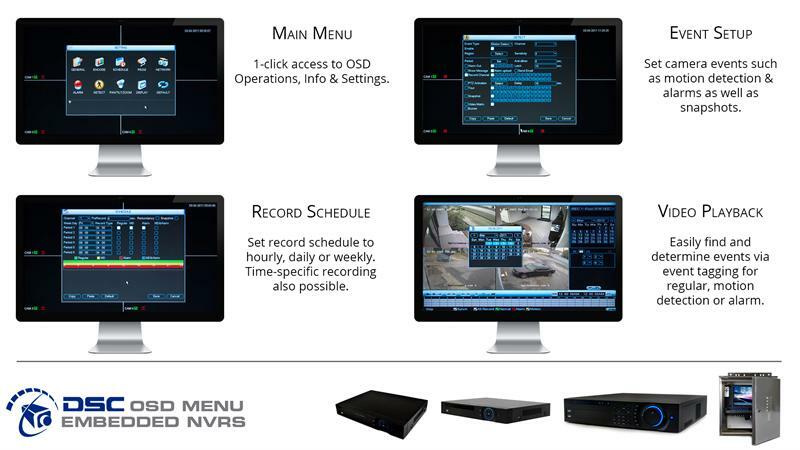 Often times other manufacturers will claim that their DVR will allow you to store months of video. Be aware that they may be assuming that the frame rate is turned all the way down to one frame per second which is not a practical setting to use. Note: The storage capacity using H.264 (aka MPEG4+) video compression is similar to MPEG4. However the big improvement of this newer technology is in its image quality, especially at higher resolutions such as full D1. In plain terms this means that you may use slightly more hard drive space for H.264 but when playing back recorded video you will notice a clearer picture especially when viewing full screen.